Watch your little one discover the joy of dance in our adorable toddler classes! Tiny dancers thrive in an engaging introduction to movement as we dance and sing along to classic and new children’s songs. 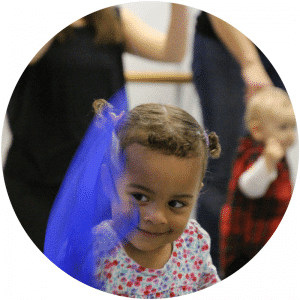 Nurturing teachers guide little ones through playful dance games and use exciting props to explore new movements. Children are so engaged in the class, they don’t even realize they are developing coordination, listening skills, musicality, and learning to follow along with a teacher. Making dance class friends, they will build their social skills and get to share an activity they love. Your pride and joy will blossom as they progress with each and every class! 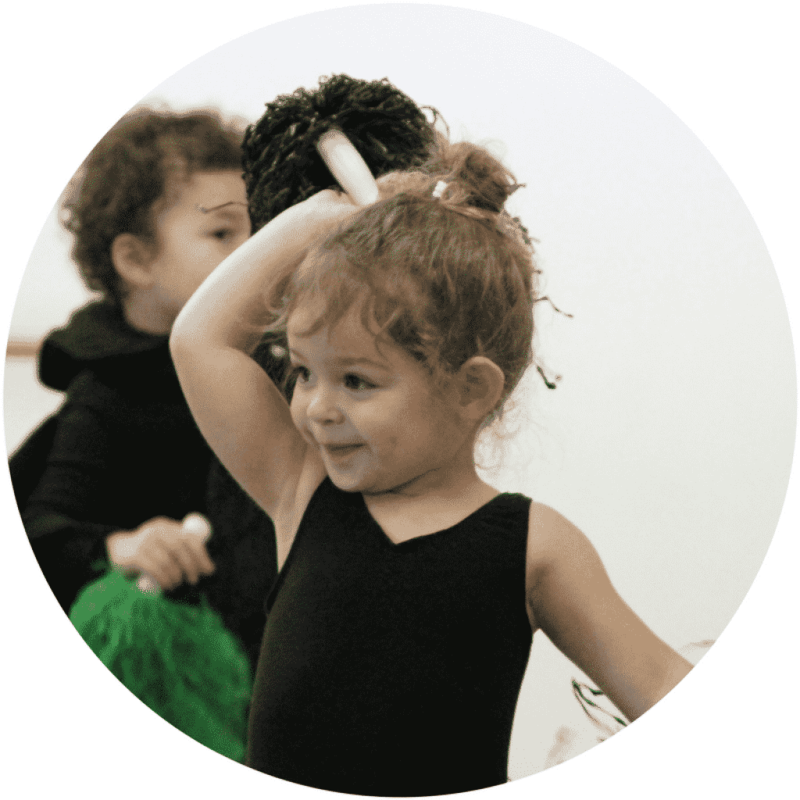 All classes are taught by instructors who adore little ones and are experienced with the tiniest dancers. Little ones get a boost of confidence as their encouraging teacher celebrates their achievements, no matter how small! See our class descriptions below to choose the right class for your little dancer! Tiny dancers thrive in an engaging introduction to movement as we dance and sing along to classic and new children’s songs. Making dance class friends, they will build their social skills and get to share an activity they love. Little ones get a boost of confidence as their encouraging teacher celebrates their achievements, no matter how small. Your pride and joy will blossom as they progress with each and every class!  And a FREE studio t-shirt when you join the ABC’s of Dance family! Click the links below to find the right class for your little dancer! My child isn’t quite 18 months old yet – can we take the Dance with Me class? Sure! We will take little ones under 18 months old, just keep in mind that they may not be able to do as much as some of the older kids in the class. Children develop so quickly at this age, and they will catch up in no time! Can we try a class before we register? Absolutely! 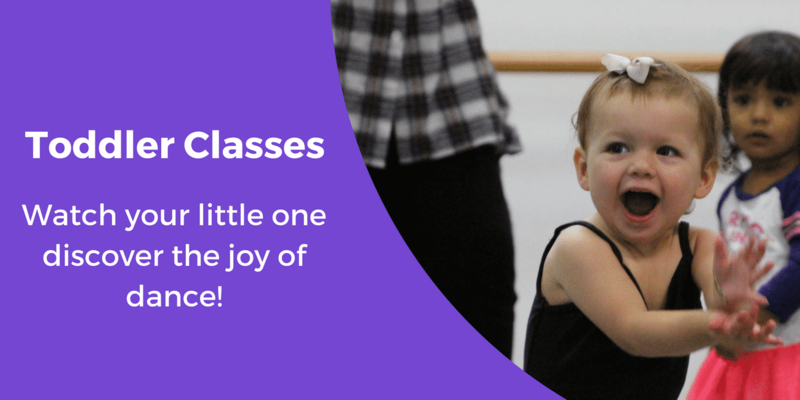 While we are sure that both you and your little one will love it, we do offer an introductory class so your dancer can find the right class for them! Click here to see our class schedule and schedule your child’s intro class or call us at (310) 923-0888. Dancers should wear clothing that is easy to move in (no jeans) and dance in ballet shoes, barefoot, or socks. Leotards and tutus are more than welcome, but not required. Grown-ups will also go in socks or barefoot. Creative Movement students will need both ballet and tap shoes. Can we make-up a missed class? Absolutely! You may take a make-up class during any class for your child’s age group. Please contact us before attending a make-up class so we know to expect you and we can prevent overcrowding. Make-up classes must be taken during the current session and students must be currently enrolled in order to make-up a missed class. Please note that there are no food, drinks, or street shoes allowed in the studio (dance room). For the safety of our dancers and their grown-ups, there are no hard toys allowed inside the studio. See more class registration FAQs on our registration page. Simply click any “Register” link below. How many classes per week should we take? Most of our students take between 1-3 classes per week. The more classes your little one comes to, the faster they will learn and progress! The class I want to register for is full – what can I do? First, check out our other classes to see if there is another time that you and your child can join us. Can’t come to another class? Join the waiting list! Sometimes families will switch to another class. If you are on the list, you will be the first person in line if a spot opens up. You can register online for the waiting list by clicking on the “Register” link or give us a call at (310) 923-0888. Can my 2 year old take the Creative Movement class? 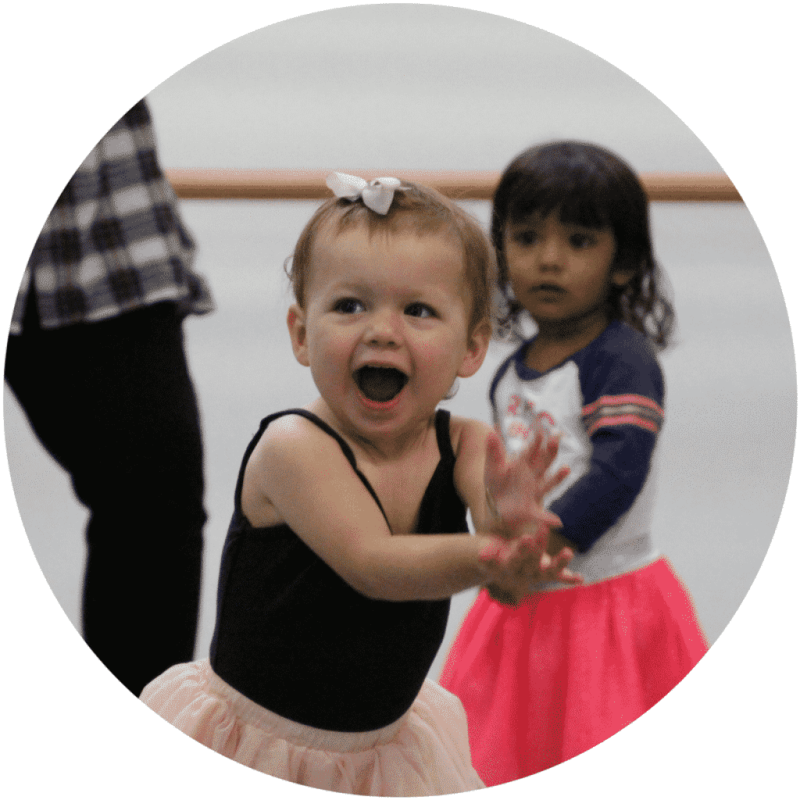 Our Creative Movement program is specifically designed for dancers ages 2.5 years (30 months) and older. At this young age, a few months can make a huge difference, so we don’t usually take children in this program who don’t meet the age requirement. Some children who have been coming to our Dance With Me program for a while may be ready for an independent class before they are 2.5 (30 months). If you feel that your child is ready, speak with their teacher about the trying the Creative Movement class. Absolutely! You may take a make-up class during any class for your child’s age group. Please contact us before attending a make-up class so we know to expect you and we can prevent overcrowding. Make-up classes must be taken during the current session. You will have a blast dancing with your little one in our Dance with Me program! Children love dancing along to both classic and new children’s songs. Your tiny dancer will get an engaging introduction to dance with energetic music, singing, dance games, and using props like scarves and pom poms. Children have a great time while developing coordination, large motor skills, listening skills, musicality, and learning to follow along with a teacher. Little dancers will burn through tons of energy as we dance- it’s a great workout for grown-ups too! Click the link below to see our class schedule & register your dancer! Download our free guide for some tips to help you and your little one get the most out of their dance class! My child isn't quite 18 months old yet- can we take this class? The class I want to register for is full-what can I do? How many classes should we come to each week? Can we try the class before we register? Click the link below to register your dancer! Little ones will love dancing and learning tumbling skills in this new class! Children will dance along to favorite children’s songs and dance games. Kids will love getting to do fun tumbling skills such as jumps, somersaults, and hand stands! Children have a great time while developing coordination, large motor skills, listening skills, musicality, and learning to follow along with a teacher. Their grown-ups will assist in making sure little ones get the assistance they need to get the most out of their class. Space is limited to just 8 students to make sure they get individual attention. How do I know if my child is ready for this class? Can we make up a missed class? Absolutely! You may take a make-up class during any of our Dance With Me class times. Please contact us before attending a make-up class so we know to expect you and we can prevent overcrowding. Make-up classes must be taken during the current session. There is a parking lot in front of the building. The entrance is on the north side of Santa Monica, just west of La Cienega. We have 2 assigned parking spots, but you can park anywhere except in the dry cleaner’s spots. He will come out and yell at you! We are located upstairs. Please note that there is no food or drinks allowed in the studio (dance room). For the safety of our dancers and their grown-ups, there are no hard toys allowed inside the studio. We offer an introductory class so your dancer can find the right class for them! Click here to schedule your child’s intro class or call us at (310) 923-0888. To register your child, simply click on the “Register” link next to the class of your choice and fill out the form. After submitting your form, your little one’s spot is saved! All registered dancers will receive a FREE ABC’s of Dance t-shirt! Watch your little dancer take an engaging class all by themselves in our Little Gems Creative Movement program! Little dancers will feel like a real dancer as we begin learning ballet basics. Dancers will love getting to make sounds with their feet as they explore the musical magic of tap dance! Your child will blossom each week with teachers who nurture their development and celebrate their success. Dancers will feel such a sense of achievement as they grow and progress. The look of pride on their face when they say, “I did it!” as they put their feet in 1st position by themselves for the first time is priceless! Little Gems students will need both ballet & tap shoes. 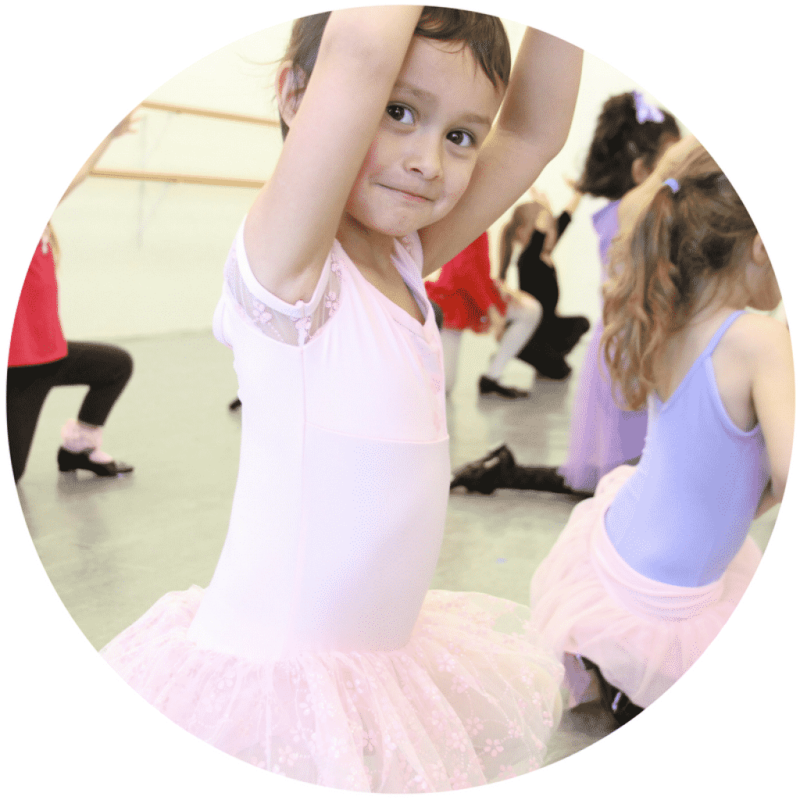 This class will prepare little dancers for our 3 & up Jewel Ballet Program! If your child has been attending our Dance With Me program, speak with their teacher about whether they are ready for the Little Gems program. The most important thing to us is to provide the most positive and nurturing learning experience for our dancers. This means that we will evaluate each child and make our recommendation on the best fit for them. Not all children will be ready to be in a class by themselves as soon as they are 2.5. If your dancer hasn’t been attending our Dance With Me program, we recommend joining us for a few classes so they can meet the teacher with you in the room, right by their side. This will help build their confidence so they feel ready to try a class by themselves! *We always recommend having little ones try the Little Gems program by taking an introductory class first to make sure it is the right fit for them. If you would like to schedule an introductory class, click the link below. If my child is 2, can they take this class? Dancers should wear dancewear (leotards with or without a skirt/tutu) or clothing that is easy to move in such as leggings and a t-shirt (no jeans). Leather ballet shoes are required- pink for girls, black for boys. No satin “ballet slippers”. Dancers will also need black tap shoes. If your child has been attending our Dance With Me program, speak with their teacher about whether they are ready for the Creative Movement program. The most important thing to us is to provide the most positive and nurturing learning experience for our dancers. This means that we will evaluate each child and make our recommendation on the best fit for them. Not all children will be ready to be in a class by themselves as soon as they are 2.5. *We always recommend having little ones try the Creative Movement program by taking an introductory class first to make sure it is the right fit for them. If you would like to schedule an introductory class, click here to schedule online or call (310) 923-0888. Introductory class fee is $20. My child is 2, can they take this class? Absolutely! While we are sure that both you and your little one will love it, we do offer an introductory class so your dancer can find the right class for them! Click here to schedule your child’s intro class or call us at (310) 923-0888. ​We will learn elements from our Dance with Me program as well as begin working on more challenging Ballet movements to make the transition to this class easier for little ones. Small class sizes ensure that your child will always receive individual attention. Children must be able to follow basic instructions such as coming when called, following the teacher, and waiting their turn. This is an independent class, so students must be comfortable taking the class by themselves without a parent/nanny in the room. If your child is shy or has never been in a class by themselves, we highly recommend bringing them to the Dance with Me class a few times so they can get used to the teacher and the studio. *Dancers must be 2.5 years (30 months) old by the session start date. Absolutely! You may take a make-up class during any of our Creative Movement, Dance & Tumble, or Dance With Me classes. Please contact us before attending a make-up class so we know to expect you and we can prevent overcrowding. Make-up classes must be taken during the current session. Price listed is pro-rated for the number of weeks left in the session. Little ones will experience the magic of learning as they are introduced to age-appropriate ballet and tap basics. We have years of experience teaching little ones and have developed our Combo programs to have a great mix of learning and fun to keep children engaged. Our small class sizes allow dancers to have individual attention and engage with their teacher. This not only creates strong bonds, but allows us to get to know each child and tailor the way we teach to them so they have the best opportunity to thrive. Our philosophy of patience and positivity really encourages little ones and gives them such a great sense of accomplishment as they progress. *This class does not participate in our recitals. Is this class different from your regular season 3-5 year old classes? This class is run in 8-week billing sessions, instead of the full season (August-June) like our other 3 & up classes. Dancers in this class will receive the same engaging instruction from their teacher as kids in our regular season classes, but they will not participate in our twice-yearly recitals. If you would like your dancer to participate in our recitals, please click here for more info! Dancers should wear dancewear such as leotards with or without a skirt/tutu. Black tap shoes and leather ballet shoes are required (pink for girls, black for boys). No satin “ballet slippers”. Tights and/or socks are optional, although they may help tap shoes be more comfortable. We will not have this class over the summer. This class will resume in the fall. Registration will open soon! Join our mailing list at the top of this page to be the first to know when registration opens! We offer an introductory class so your dancer can find the right class for them! Click here to contact us or call (310) 923-0888 to schedule your introductory class! Click on the “Register” link next to the class of your choice to register your child! Price listed is pro-rated for the number of classes left in the session. Need help finding the right class for your dancer? We would love to hear from you! Click here to learn more about our classes for ages 3 & up! Subscribe below to stay in the loop on important info about our toddler classes!